A group of migrants walk on the Serbian side of the border with Croatia, near Sid, Serbia, Sept. 16, 2015. The number of migrants crossing illegally into Hungary dropped steeply on Tuesday, while a few dozen were reported to have crossed into Croatia from Serbia. The Hungarian government said Wednesday that only 366 illegal entrants were rounded up on Tuesday, the first day of operation for Hungary's strict new laws punishing people who enter the country illegally. On Monday, police said, a record 9,380 migrants crossed into Hungary. Meanwhile, the tide may have turned southward. 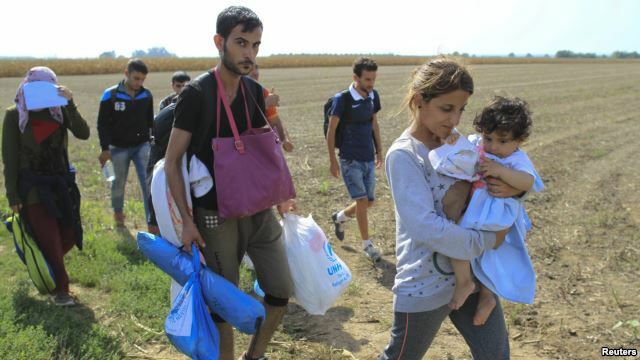 A few dozen migrants were seen entering Croatia from Serbia Tuesday, and busloads more were seen heading that direction from the Serbian town of Presevo. Croatian Interior Minister Ranko Ostojic said in a television broadcast discussion Tuesday that Croatia has preparations in place for the migrants and will enact an emergency plan if needed. Also Tuesday, Serbia said it is not able to handle the vast number of migrants gathering along its borders while Hungary turns them away. Serbia is not a "collection center," said Serbian Foreign Minister Ivica Dacic. He called it unacceptable for migrants to have to return to Serbia, especially as more and more arrive from Greece and Macedonia. 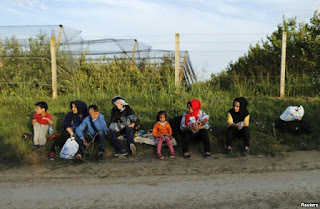 A group of migrants rest on the Serbian side of the border near Sid, Croatia September 16, 2015. Hungarian officials on Tuesday closed two official border crossings because of what they said were inadequate controls on the Serbian side. Hungary also declared a state of emergency in two southern counties. A young Pakistani man, Zabih Ullah, stuck on the Serbian side of the border, told VOA he wanted the police to let him cross over to Germany. He insisted that he would stay at the border until he was allowed to pass. 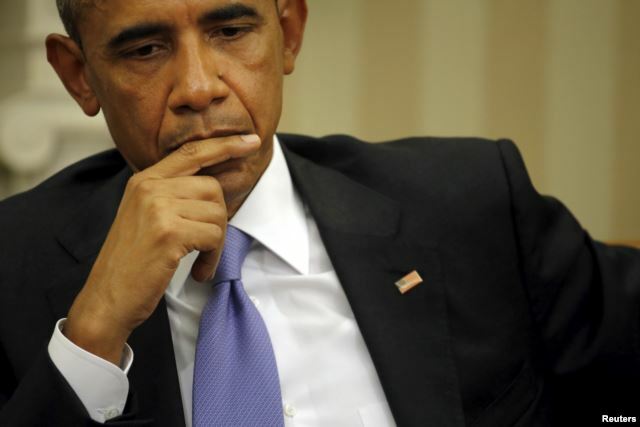 U.S. President Barack Obama listens as Spain's King Felipe VI (not pictured) talks to reporters during a visit at the White House in Washington, Sept. 15, 2015. At a White House meeting with Spain's King Felipe the Sixth, President Barack Obama said the entire world has to pitch in to help the migrants. A researcher at the Institute for Public Policy Research in London told VOA that to some the influx of refugees to Europe is a positive thing because it is replenishing the population of an aging continent. He said the migrants, once employed, will be supporting state health and pension systems with their taxes. A lot of the migrants have skill sets and educational backgrounds that belong in the European marketplace, according to Morris.